There are so many brands of batteries which can use for a homemade electric car. Brands such as Batteries Plus, Ezgo, Interstate Batteries, Club Car, Trojan etc manufacture deep cycle batteries which can be used on your electric vehicle (EV). A Do It Yourself (DIY) electric car is a vehicle which needs to be maintained for their long service life. On this basis, the consideration on preventive maintenance of the batteries is essential on the value that is to be retrieved out of the amount spends for your EV. Job maintenance for an electric car doesn’t end in just checking up the wheels and cleaning it. Since it is and electric vehicle, the importance of the battery determines the proper functioning of the electric motor. There are three basic needs that are to be considered by the driver, they are, the trust upon the brand, reasonable rate and clear specification of the battery. In deciding a brand there is a must to consider on the suitable location, because there are certain brands which work good during cold season, and simultaneously there are other brands which work efficiently during the hot seasons too. 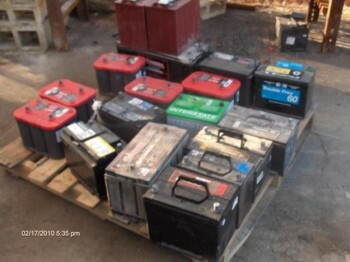 Interstate Batteries and Trojan are in the top list in selling high quality batteries and as per the name, the batteries also perform very well in all condition. When there is a comparison between the batteries of Exide against these two names, it is noted clearly that life span of the battery is less in Exide, all though the price is lower. In buying a suitable battery for your electric car, there is also a decision to be considered, that is “price factor”. The minimum price for buying a deep cycle battery is $75. But you should remember on the price of the product, moreover which are technical in nature, relates to the reasonable price. This is price range for the batteries, which are offered by the local brands, but they don’t work for the long run. The price range also fluctuates on the basis of the size of the electric motor. For heavy EV, the price range of a battery goes on to $300 to $400, and the buyer should also be aware of the warranty of the battery. The other specification to be considered is the size of the battery, the working hours of the electric car and the loads added on the vehicle. Before purchasing the battery, you should know on the size of the battery that will fit in to the car easily. If the working hours of the EV are high and heavily loaded, then you should decide upon purchasing a high power battery. When you bought an electric car conversion kit, there will be a manual attachment which gives all the information about the battery maintenance. So the first thing to consider is to read the manual on basis of do’s and don’ts with regard to battery. The driver must also inspect weekly or monthly basis, whether the battery has some leakages, any loose connections or any damages. If any damage is found on the battery, there is no need to use it anymore. Even if it is still in working condition, replace it immediate because it will affect the performance of the entire battery bank. Cleaning the terminals, body and metal ports are the maintenance job for a homemade electric vehicle. While cleaning, all the connections should be detached. The cleaner should be aware in not wearing any ornaments. Filling the right quantity of water also determines the good health of the battery. Tap water is prevented for filling the battery; this will cause the damage on the electrical system of the car. Distilled water is the right choice and should be filled in the right quantity. Proper charging of a battery determines good health of a battery. Excess charging of the battery affects its lifespan. In order to stop the charger at the required time, automatic timers and LED indicators are attached. These are the right basic tips on maintaining the right battery for an electric car.